There are so many lovable dogs at Orphans of the Storm®. You’ll be covered in doggy kisses by the time you leave! If you give them the love and attention they deserve, they will love you forever in return. 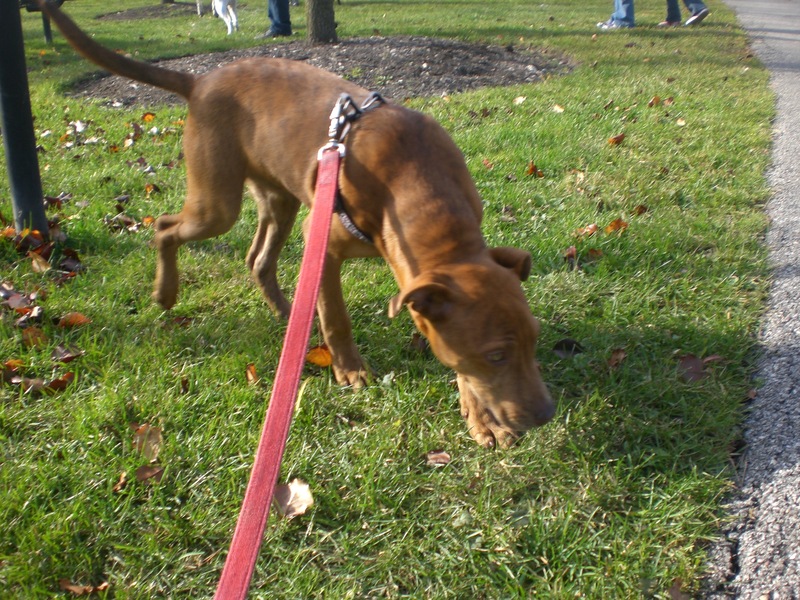 Willy the five-month-old Shepherd/Pit Bull Terrier mix is your typical cute, rambunctious puppy. This little guy just wants to run and play! When he tires out at the end of the day, though, he’d love a comfy lap to snuggle in. 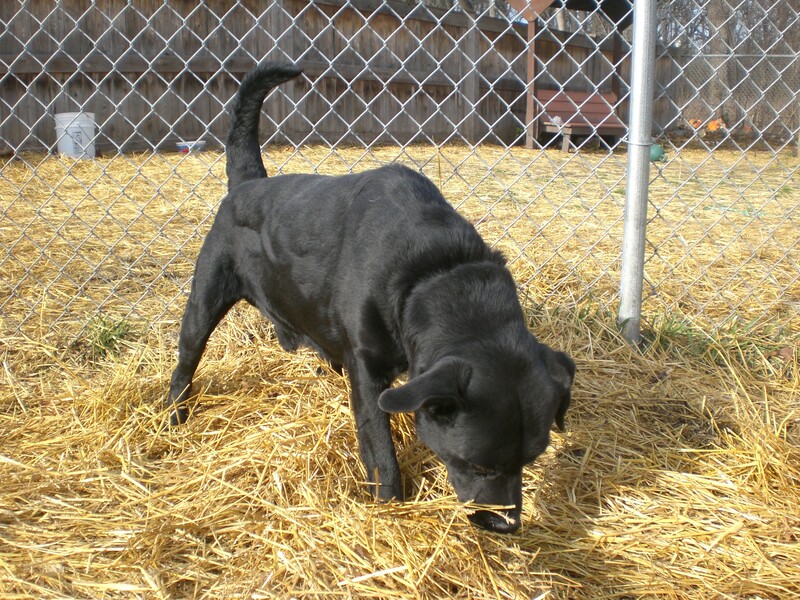 Willy is the perfect age to benefit from training and socialization. If you want to turn this puppy’s life around and give him the perfect forever home, come in soon to meet him! 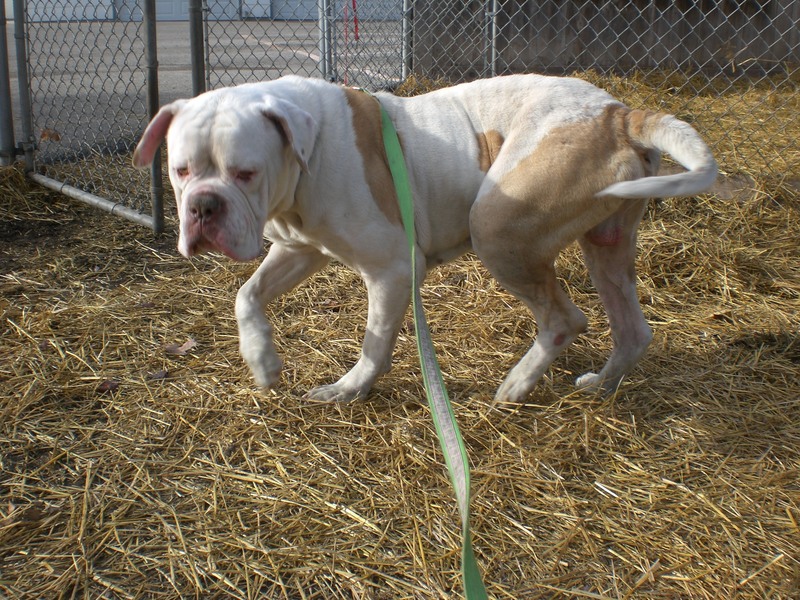 With his adorable floppy ears and wrinkly forehead, you won’t be able to pass Willy up! 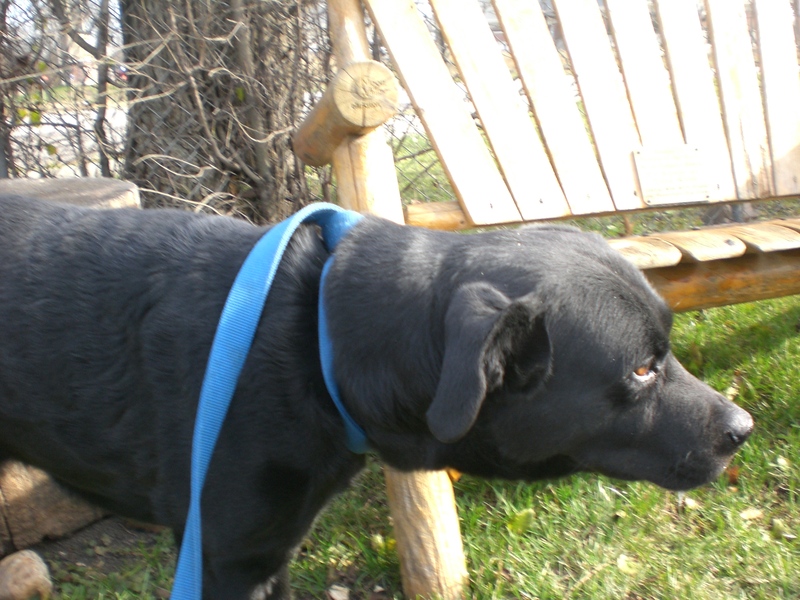 Cozumel the three-year-old black Labrador Retriever mix is a gentle soul who follows his nose. It was hard to even get a good picture of him, because he had his nose to the ground and was leading us on an invisible (but apparently good-smelling) trail through the grass. Cozumel would whine a little bit whenever we walked by other dogs; I imagine he was saying, “Aww, please, can I play? Can I?” Labs are usually a great mix of snuggly couch potato and enthusiastic athlete, and it seems like Cozumel fits that description. Labs are the most popular breed in America for a reason! If you’re thinking of adding one to your family, come say hi to Cozumel. 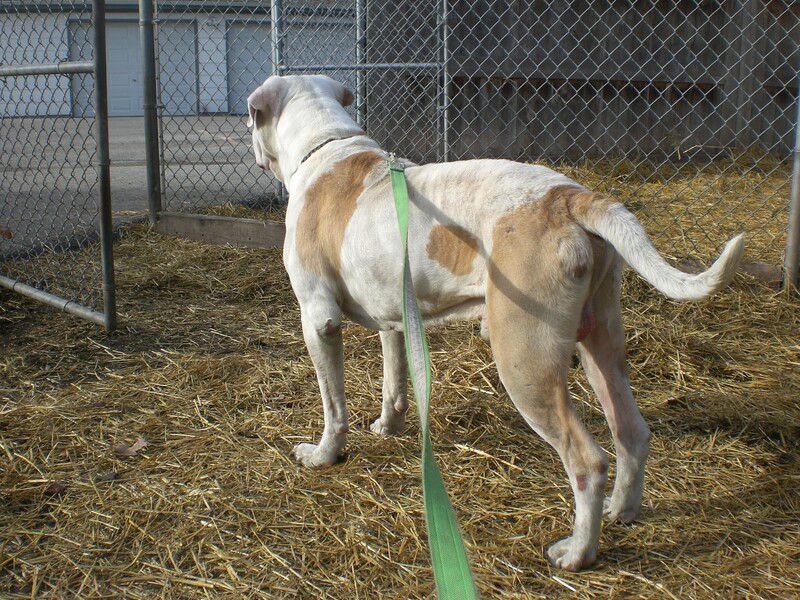 Morpheus the two-year-old American Bulldog mix is another great example of a gentle giant. What a face! His head may be bigger than most people’s heads, but that just means there’s more of him to love. I could not get over how sweet and adorable this big boy is. Although he probably could have pulled me over if he wanted, he was a perfect leash-walker who stuck nice and close to my side. This picture does not do Morpheus’ face justice. He’s too cute! Morpheus loves being close to people. He would lean against my legs, rest his head on my lap, look up at me with the sweetest expression, and press into my hand for a pat. His big tail wags almost all the time. If you get excited, he gets excited; if you want to be mellow, he’s mellow too. Come in quick to meet Morpheus–a pooch this lovable won’t stick around long! 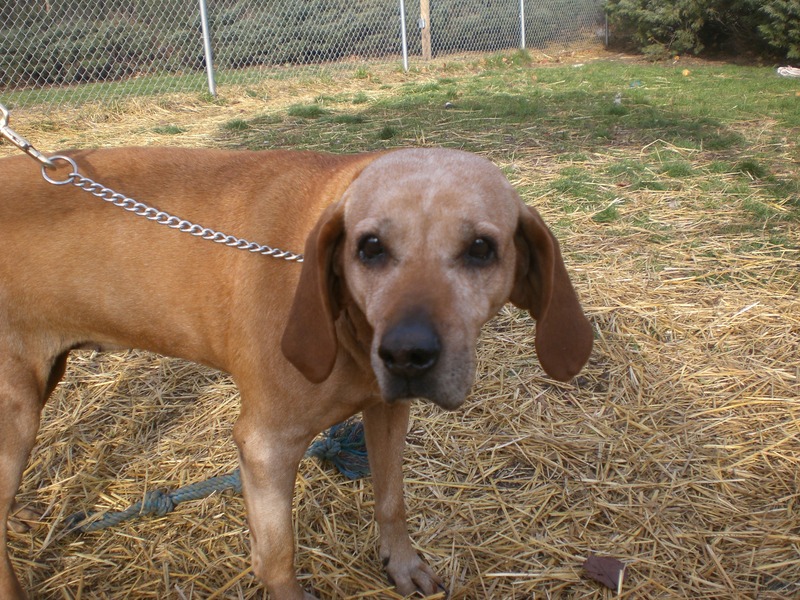 Jane the five-year-old Hound mix is another gentle dog, though she’s much smaller than Morpheus. This sweet girl seems to be a little on the nervous side, but she’s friendly all the same. Even though her tail usually stayed between her back legs, it would wag from side to side when I pet her. 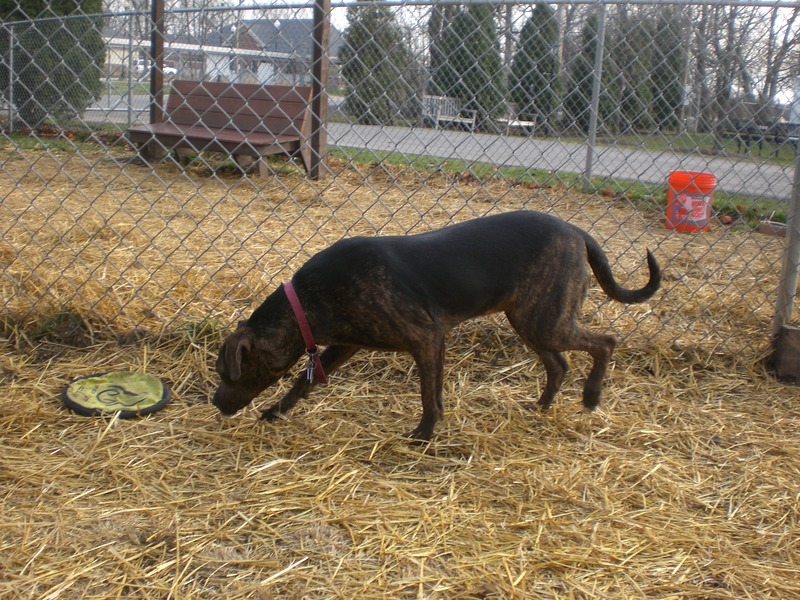 Since Jane is a gentle dog, a gentle owner would be the perfect match to bring her out of her shell. She currently has a kennelmate, so she can get along well with other dogs. Her sweet eyes and quiet demeanor will steal anyone’s heart. Is Jane the dog for you? 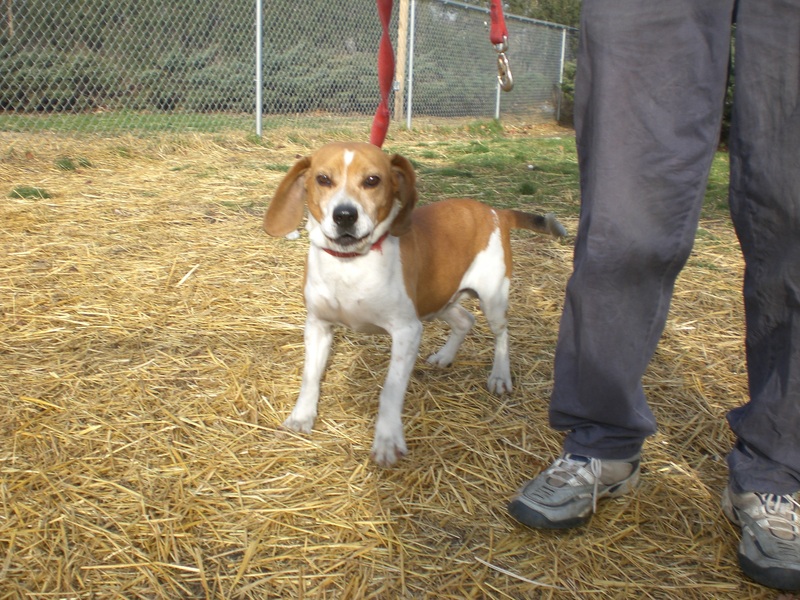 Sanders the two-year-old Beagle mix is currently Jane’s kennelmate, but they’re almost complete opposites! 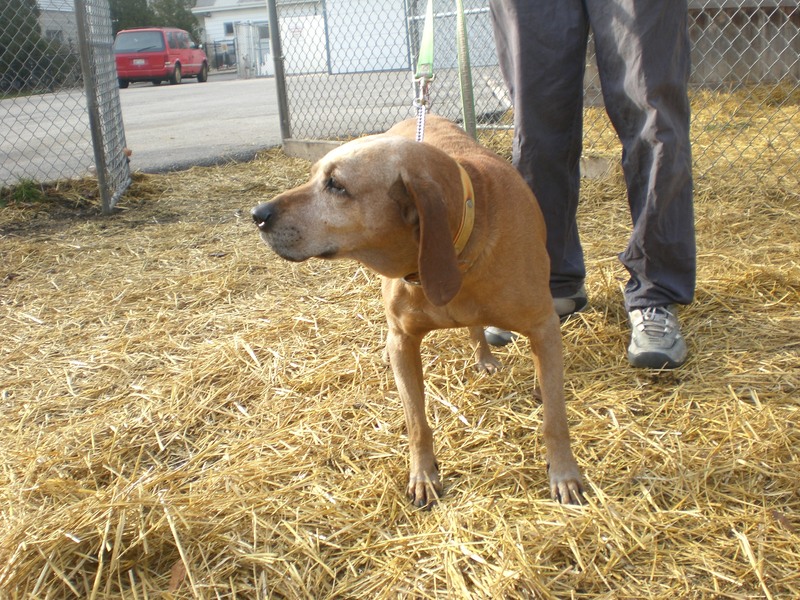 While Jane is quiet, shy, and slow-moving, Sanders has a voice, loves attention, and has plenty of energy. 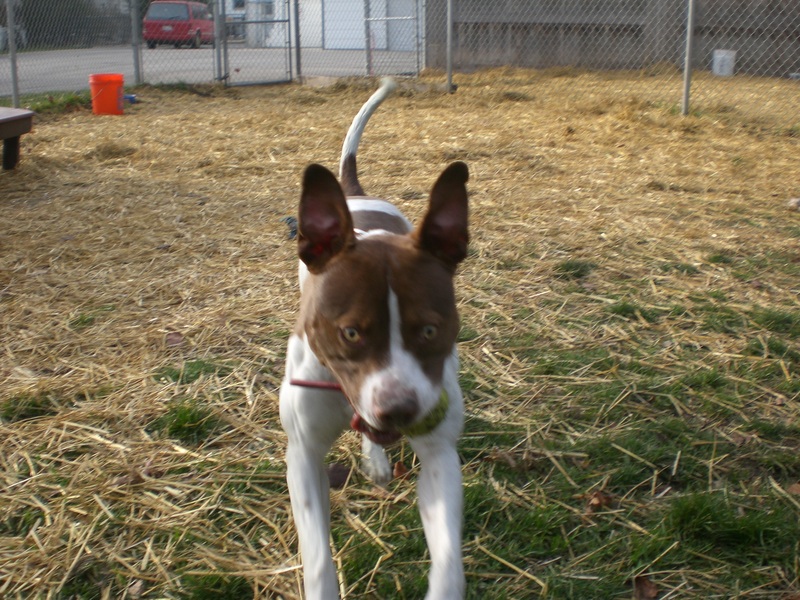 He is a sweet, happy dog who would be even happier with a new family to play with. 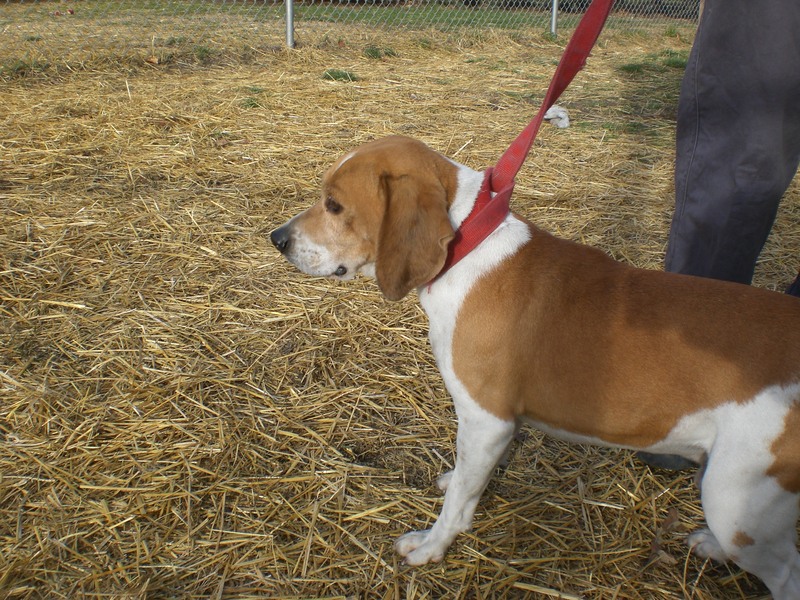 Sanders is a little larger than your average Beagle and has plenty of personality to match. That little tail was wagging. He was so happy to see me at his kennel that he didn’t even run out the sliding door when I opened it so we could go for our walk; he kept licking my hand and I had to keep pointing for him to go out and promise I’d meet him there. He will make a great sidekick. 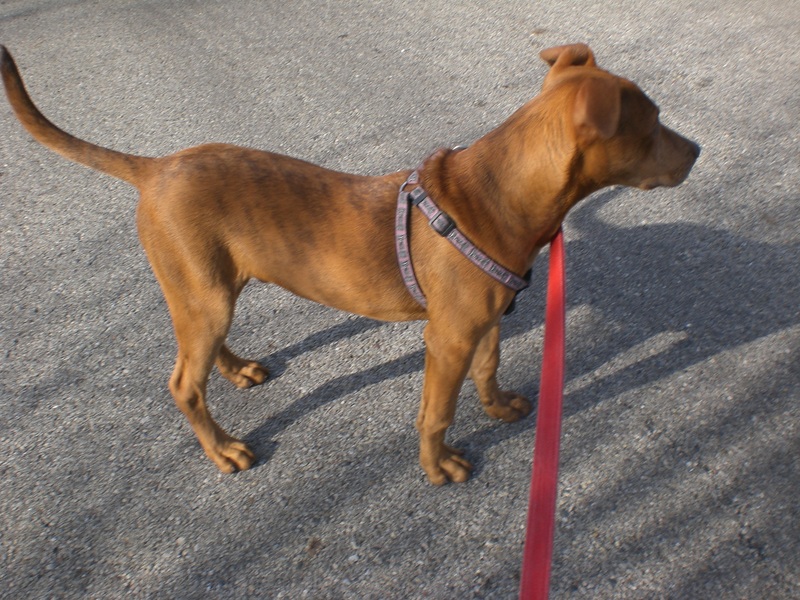 Greta the one-year-old Pit Bull Terrier mix is very well trained, considering her young age. She sits very nicely for a treat and walks well on a leash. Her eyes are such a light brown that they’re almost yellow, which gives her a very striking (but very cute) appearance. Greta loves loves loves to play fetch. Hopefully you have a good throwing arm, because this sweet girl can play for a long time. She is also a very good fetch-player. When I said, “Drop,” she politely dropped the ball at my feet and waited for me to throw the next one. When she needed a moment to catch her breath, she plopped down on the bench next to me and chewed her tennis ball while I scratched her head. 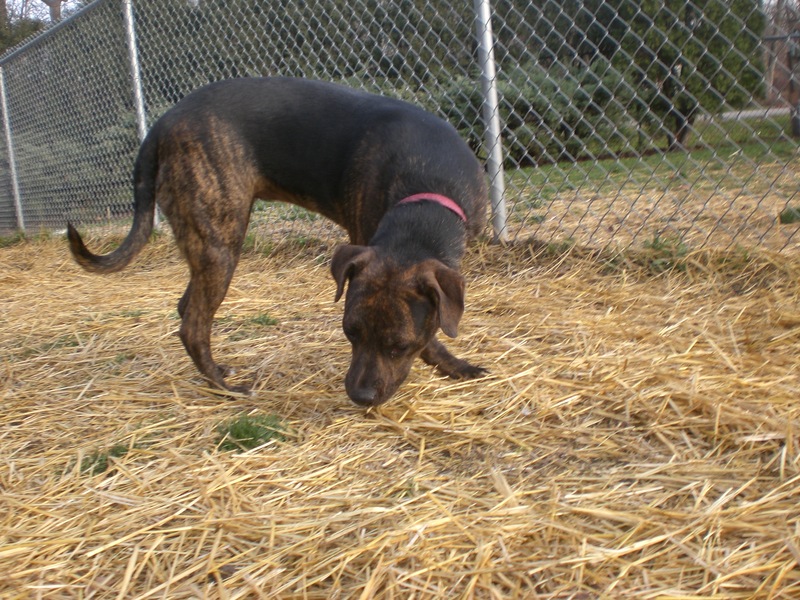 If you’re looking for a sweet, active dog, Greta might be the perfect match! Tillie the nine-month-old Pit Bull Terrier mix is a beautiful dog. Her black back kind of reminds me of a German Shepherd‘s coloring, so maybe she has some of that mixed into her genes. Tillie, being a puppy with lots of energy, was very excited to go out for a walk and jumped up to give me a doggy hug a few times. Tillie calmed down soon after we had walked around for a while, though. She seemed to prefer walking on a leash rather than running free around the run and wasn’t too interested in playing fetch at the time. Instead, she was very curious about all the different smells that she encountered. 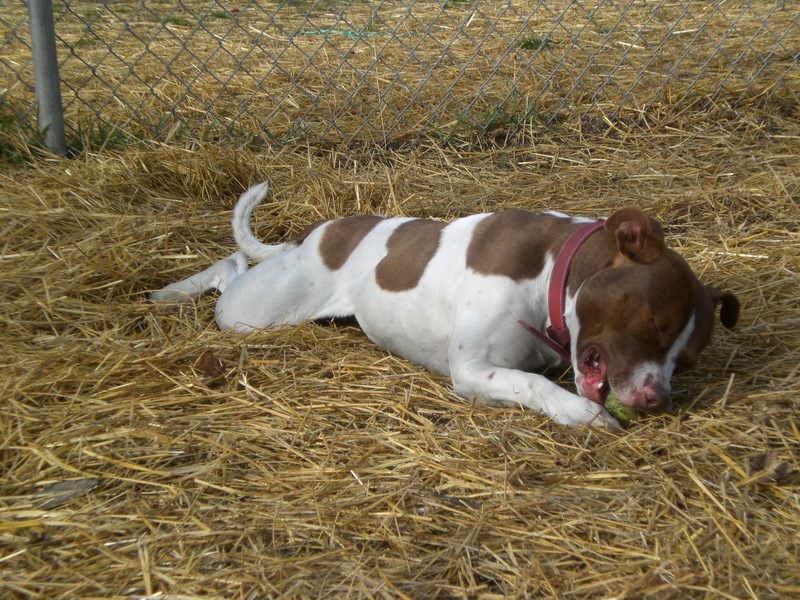 If you’re looking for a young dog to call your own, come meet Tillie! There are lots of other lovable dogs at the shelter waiting for their new loving families. I got to say hello to two of my favorites, Chewy the Black Lab and Finnigan the Beagle, while I was there this week. Stop by, meet some of the pooches, and find your new best friend at Orphans of the Storm®! Posted by Meet the Pooches on November 28, 2012 in Dog Profiles and tagged adoption, American Bulldog, animal shelter, Beagle, Chicago, dogs, Hound, Labrador Retriever, Orphans of the Storm, pets, Pit Bull Terrier, Shepherd. I just want to adopt them all!! Thank you! A 10-year-old Golden Retriever just arrived with his Samoyed friend last week. I walked him briefly before he got his official picture taken for the shelter’s website. Goldens are such sweet dogs!